According to a review from the experts at the U.S. News, the new Toyota Prius c stands out with great fuel economy, excellent safety features, and a starting price that makes it one of the most affordable hybrids around. If you’re preparing to buy a Toyota Prius c for sale in Los Angeles, you’re sure to be excited about the options you have at Toyota of Downtown LA. The models in our new vehicle inventory feature Toyota Safety Sense™ C (TSS-C), 17.1 cubic feet of cargo space, and EPA-estimated fuel economy of 48 mpg city, 43 mpg highway*. Explore our 7 new Toyota Prius c for sale in Los Angeles. When you’re ready, complete this easy-to-use form to schedule your test drive. Why Choose a New Toyota Prius c for Sale at Toyota of Downtown LA? Ready to buy a new Toyota Prius c that you’ll enjoy for years to come? 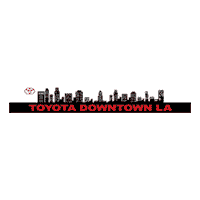 Get in touch with Toyota of Downtown LA to learn more about our new vehicle specials, online car payment calculator, and excellent financing options. *Based on 2019 EPA estimates. Actual mileage will vary.